Andy Williamson finds himself in a peculiar position this week when he faces two big games over a four-day period. This afternoon he dons his coaching hat and bids to steer Sullivan Upper to glory in the McCullough Cup final against Friends at Lisnagarvey (2pm). Then on Saturday afternoon he pulls on his Lisnagarvey gear for a vital Irish Hockey League game against Annadale ... who just happen to have a handful of Sullivan players in their ranks! "Switching from coach to player has never really been an issue for me in the past," insists Andy. "I've trained with, played with, and played against boys I've been coaching, and at the worst there's just light-hearted banter. "Regards the cup final, the strengths of both teams are very similar - we both have good confident ball players in defence and midfield, we both have a number of under-age Ulster and Irish internationals, we both have a good mix of experience and youth in our squads, and we both like to play good-to-watch, fast-paced, attacking hockey. "It's likely to be a close affair but should be a great representation of the level of schoolboy hockey in Ulster at the minute." Sullivan already won the Burney Cup back in March and their target now is to collect both major schoolboy trophies in the one calendar year. And in this season's McCullough competition, they ran off five straight wins to top their pool, beating Methody (3-1), Cookstown High (4-0), Wallace High (5-2), Grosvenor (10-0) and Campbell College (3-2) before knocking out holders Banbridge Academy (2-1) in the semi-finals. Those goals against Bann came from Matthew Willis and Fergus Gibson and these are just two of the players that Friends will have to keep a close eye on. Friends, though, have an incentive to win - they haven't landed the trophy since 1980, a 37-year gap they want to bridge. The Lisburn lads romped through their pool with wins over RBAI (6-0), Regent House (11-0), Banbridge (4-1), Kilkeel (6-0), Royal & Prior (4-0) and Bangor (3-2) before beating Methody 3-1 in the semi-finals. With Irish U18 players like Matthew Milliken and Oliver Kidd in their ranks, they are certainly not turning up to make up the numbers. And if Sullivan were to concede too many penalty corners in the decider, then Andrew Edgar is the man to punish them - he scored all three from set-pieces in the semi-final. "Yes, we have a decent corner routine and obviously set-pieces are important," said Friends coach Craig Cunningham. "Sullivan start favourites but there is certainly no pressure on us going into it." When the final is done and dusted, Williamson's attention quickly moves to Saturday's IHL game against Annadale. Garvey lost their unbeaten record last week after losing 3-2 against Glenanne in Dublin and want to bounce back in the late Saturday slot (4pm), whereas the Dale are keen to build on their momentum after beating Railway 2-1 to move clear of the relegation zone. There are just three IHL games on Saturday, with another Ulster derby when Banbridge, bidding to break their bad run of results, face Cookstown at Havelock Park at 5pm. 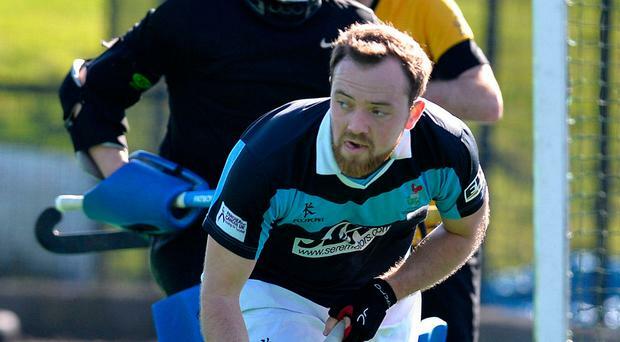 There is also one Irish Senior Cup tie scheduled, with Mossley and Belfast Harlequins meeting at The Glade, and just two Ulster Premier League games as a handful of teams are involved in the Irish Hockey Trophy's opening round. SULLIVAN: Thomas McCord, Paddy Crookshanks, Matthew Willis, Tom Robson, Michael Trimble, Callum Carson, Fergus Gibson, Matthew Morris, Harry Morris, Sonny Erskine, Daniel Girvin, Fergus Kerr, Patrick Rose, Isaac Hart, Tom McClintock, Djay Erskine, Jamie McAuley. FRIENDS: Ryan Kirkpatrick, Matthew Hamill, Matthew Thompson, Harry Scott, Conor Monteith, Matthew Milliken, Rory Brown, Sam Anderson, Hugo Henderson, Ollie Kidd, Jack Martelli, Matthew Aughey, Jack McGall, Conor Quinn, Conor Irwin, Andrew Edgar, Jack Simpson.